Will Amazon Release a New Kindle in 2017? The wrapping paper and Christmas tree have been put out for the trash collectors, CES 2017 has come and gone, and unwanted gifts have been returned to stores. With the holidays now a memory, the time has come to ponder what new gadgets will be launched in the coming year. We know for example that speculation is circulating to the effect that Apple is going to release three iPads this year, but what about Amazon? Will Amazon release a new Kindle? That is a simple question which has a complicated answer which can be summed up both as yes and no. Yes, Amazon will announce a Kindle in 2017, but no, it won't be a new model. That sounds contradictory, I know, but it makes sense once we look at Amazon's history of Kindle launches. 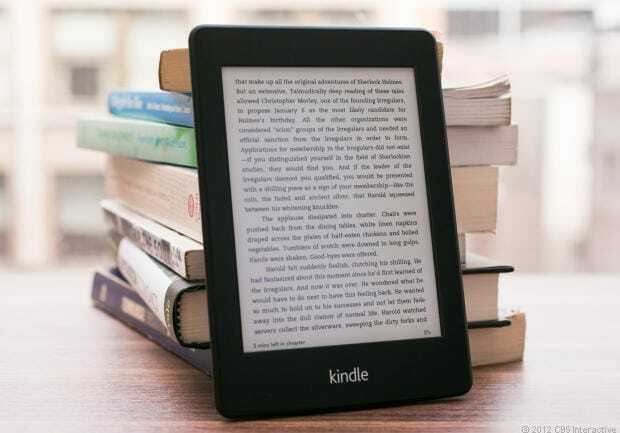 For the past five years, Amazon has alternated between launching a new Kindle in even-numbered years and updating an existing Kindle in odd-numbered years. Amazon launched the Kindle Paperwhite in 2012, and then launched the Kindle Voyage in 2014 and the Kindle Oasis in 2016. Each Kindle model was a completely new design with new features, new hardware, and new software. In 2013 and in 2015, Amazon released an updated Kindle Paperwhite. The Paperwhite (2013) had an improved frontlight and Carta E-ink screen, and the Paperwhite (2015) gained a 300 ppi screen, but both essentially had the same physical design as the original model. The later Kindle Paperwhites weren't new models so much as updates to the original, and they were released in odd-numbered years. They were improved models, yes, but the difference was only incremental rather than fundamental. We have just started a new year, and it ends in a seven. That tells us that Amazon will update the Kindle Paperwhite once again, and save its new Kindle to be launched in 2018. So if you are thinking of buying a Kindle when it goes on sale this year, and are wondering whether you should wait for the new model, don't wait. We are in for a wait of a year or more before the next new Kindle model. The best we have to hope for in 2017 is a new Paperwhite - perhaps one with a more-rugged plastic-backed screen, or with built-in speakers. But about 95% of its features already exist, and can be found in the current Kindle Paperwhite. So is that hypothetical updated Kindle Paperwhite really worth waiting for? They’ve already refreshed the Paperwhite last year. They introduced a white version. I can’t think of any changes that can be made other than cosmetic without cutting into the Voyage and Oasis. This means that we might not even see a Paperwhite refresh this year. I think we might not see any new or refreshed Kindle this year at all. I don’t know I would call that a refresh – not like increasing the screen resolution or going from Pearl to Carta. Amazon also released the accessible USB dongle last year, but I also wouldn’t call that a refresh either (it’s an accessory). I think my point is that if Amazon increases the resolution or upgrades the screen then people stop buying the Voyage or the Oasis, which means they can’t do that until they do it on the top tier models first. Since the Oasis did not involve any upgrades when introduced last year, the Paperwhite can’t be upgraded this year. Just adding the option to have a white shell does not count as a refresh, and Amazon doesn’t consider it a refresh either. Adding more LEDs (there are ten in the Oasis, compared to four in PW) and waterproofing the Paperwhite are things that could improve it. They can’t waterproof the Paperwhite because the Voyage and Oasis do not have waterproofing. And if they thought that people cared they would have made the Oasis waterproof. They can’t add more LEDS because the Voyage has only six. See what I mean? You can’t provide meaningful upgrades the Paperwhite because there are two more expensive models that already have those upgrades. Larger Kindle. By not releasing one and letting Kobo get ahead of them they have lost a lot of my business since I purchased the Kobo Aura One and now buy my books exclusively from Kobo. I love the Kobo Aura One and do not want to go back to a 6 inch screen. I really wish Barnes and Noble would come out with the larger e-ink. Larger? That would mean a completely new Kindle or bringing the DX line back from the dead. If that were to happen it would be in 2018 not 2017. If they release a new Kindle, I predict it will be 6″. Boring. They might rip off Kobo’s red colored front-light innovation. i have been wanting a voyage 2 for awhile. hope its gets a second generation. adding something like a ComfortLight would be nice. hail mary request would be more fonts and typeset weights.. but its Kindle so i don’t hold my breath. I think it is much more likely to see a Voyage 2 this year than a Paperwhite 4. The Voyage hasn’t been refreshed yet. Here’s the thing about updating the Voyager: it’s a unique model – almost a souped up Paperwhite. The Voyage has a lot of features which are missing from the Paperwhite, and those features define it. What would you have if you changed the page turn buttons on the Voyage? Would it even be the Voyage any more? I think the answer is no. I think you would have a new kindle model, with a new name. well the screen is different on the voyage than on the paperwhite. and the voyage is almost 2mm thinner. i personally love the micro-etched glass display screen with no bezel and great haptic sensors. what they could do to upgrade it would be to add the blue-light filter. has anyone even tried surpassing the 300 dpi plateau that all ereaders seemed to have stalled at? that would be an interesting advancement. Waited for an update to Voyage then they announced the Oasis, was underwhelmed and did not like the price. Bough reluctantly a second Voyage (one registered in Germany, one in the US). What do I want from a Voyage V2? Faster processor, it gets really sluggish when memory gets full (less than 200 MB free), I wonder why no one else mentions that. Bluetooth (Keyboard, sound), wireless charging, waterproof. Wireless charging should be no-brainer. On the software-side, more sort / search option, better browser with a link to some account, be it Apple or Google for syncing bookmarks etc. More Fonts, Add ons like a calculator, Evernote (and Goodreads linking for Germany, but I guess that is coming). A bigger Kindle (8-12″) with a frontlight would be nice, but also needs the Add ons. And I am rather not in the market for this device, for that I can use my iPad mini (Comics, PDF). Ingo, those are some good thoughts. I’m still hanging onto my DXs … bought at a bargain price on eBay and the one super-sale Amazon had to blow out their stock. For some reason I just found I prefer reading from that format rather than the smaller screens. I’d given up on a new-tech large screen Kindle, so it’s interesting to see people discussing it. I am quite content with my Voyage. If they release a waterproof edition, I would buy it. Not interested in the Oasis. I would buy a waterproof Paperwhite, if they offer that. I don’t know why they haven’t offered a waterproof Kindle yet, when their smaller competitors have done so. That’s the only Kindle refresh that interests me. there is a company on amazon that will waterproof your kindle.. you pay an arm and a leg though, lol. Same here. My Voyage kept throwing overheating messages when put it in the plastic reader bags while in a pool. My Paper White never did that. Now I probably could have taken the battery cover off, but we all know that would have lasted a hot minute. That is a Fire Android tablet, not a Kindle ereader. I am making that distinction because the Kindle still has mobile; it is only the Fire tablet which does not. Prices of ebooks are still too high. I have almost stopped purchasing ebooks as a result. My problem is that while the Paperwhite has been updated twice every other year, that does not imply that it is somehow a natural law that it must be updated every other year. We have to face reality. Reality is that there has not been an upgrade in eink screen technology in four years! A refresh did use to mean a meaningful update in the readers but not anymore. The 8th generation kindle launched last summer was almost identical to the 7th generation kindle. And the Oasis used exactly the same screen tech as the Voyage and Paperwhite 3. I call adding buttons a superficial change. We’re in the realm now of gimmicks. Changing colors, bezel designs, number of leds. Things that do not make for meaningful changes. If the Paperwhite is changed this year (but I think that it’s more likely to be the Voyage) it will be in a way that is superficial and not memorable. Like it might be slightly thinner and lighter. There are options. Amazon could release different sized ereaders. Also they can improve front-lighting. The only option is to go Larger. Well, they launched that 32GB Paperwhite in Japan in 2016 that they will likely introduce here in 2017. Same device, just more storage. Equipping the Voyage with adjustable frontlight colour as in the Vision 4HD or the Aura One would be worthwhile. Better even, if that were done to the Paperwhite, since that might pressure the Tolino brand to put the same into a Shine 2HD successor. What would make an updated Kindle Paperwhite worth buying? 1. An SD card memory expansion slot, up to 32 GB so you can carry 600 years’ worth of reading around with you. 2. A faster CPU and more RAM. 3. An internal battery with substantially greater capacity. A color screen. Resolution higher than 300 ppi. A case that doesn’t look as good as the ones FINTIE sells, but costs more. My sense is that the market for Kindles is squeezed on the one hand by the excessive prices of major-publisher titles and on the other by cellphones. I’m finding that my iPhone 6s Plus is fine for reading (for as long as the battery lasts), so I no longer feel the need to take my Kindle for opportunistic reading. I’d be really surprised if the Kobo is a serious factor for Amazon. I must say that I find that the Oasis really is the way to go for serious reading. I don’t regret spending the money. I find something very satisfying about the paperwhite. Technically, there is room for improvement, but the look and feel just seems right. It is very good with ergonomics. You’re right about the high prices of e-books. My Amazon Wishlist has about 30 books that are marked “Wait for price to drop.” Usually, the price does come down in a few years, and I have enough books already to keep me reading for at least that long. I’ll upgrade my kindle if they release a new paperwhite with usb-c. I no longer carry anything not usb-c. my laptop/tablet/phone/external storage/monitor/charger all use usb-c exclusively, so the kindle is on the shelf now. i guess you’ll never be upgrading your kindle then. the unit doesn’t require anything more than the micro-usb it has used for a good many years. small book file sizes and charging doesn’t require the next-gen abilities of usb-c. future amazon tablets perhaps. you can simply buy an adaptor for your USB to “C type” and that would do the job and you don’t need an entirely new upgraded PaperWhite for that…. I’m still holding onto my 1st gen Kindle Paperwhite. And I’ll tell you, if they indeed rip off Kobo’s red colored front light, I would upgrade it right away. eInk has reached the end of its development and this year’s Amazon Christmas sales were about the Echo. The future is mobile and multi-use devices like the Kindle Fire and that is where their development bucks will go. No, it won’t be the Fire tablet, either. The bottom is dropping out of that market almost as fast as it is the ereader market. I would buy any Kindle tomorrow if it was waterproof. The WaterFi model is ridiculously expensive – for that price, I’d go to the Aura One. I think they could make the Paperwhite waterproof and with the Bluetooth TTS option the Kindle 8th Gen has, without cutting into Voyage/Oasis sales – and I think that the Voyage is on a short list to be cut, anyways, because it’s a solution in search of a problem. i’ll predict the larger storage model like the japanese manga model, like the previous example. Kindle FIRE will need to have a much longer-lasting battery before it will serve as a good e-reader. Also, its software does everything it can to force you to buy/download only Amazon videos. If you just transfer a downoaded video to the Fire, it won’t play. Even a cheap android tablet can play videos downloaded from anywhere, so instead of another FIRE, next time I’ll just get an All-Day-Mall tablet: more function, less cost. I’ve got to disagree with this. If I’m only reading, the battery lasts longer than I can stay awake, so unless I’m in the middle of nowhere, I can always recharge before I run down. As far as the video issue is concerned, you can download any number of working video players from the Amazon appstore, like VLC. The storage could be upgraded to 8 GB, certainly. The cost of 8 gig of flash memory is only a little higher than for four gig – just pricecheck SD cards here on Amazon. You have to wonder why the Kindle’s storage wasn’t upgraded all the way to 8 GB instead of to 4 GB in 2015. The battery life definitely needs to be, at the least, restored back to what it was in the earliest Paperwhites. Also, the ability to turn the device OFF (like a Kobo can be turned off) should exist, to further conserve the battery’s power. If you haven’t already noticed, a Kindle’s battery will run down even if you turn the light all the way down and keep the cover shut, while a Kobo ereader’s battery will remain charged for far, far longer. No further increases to the screen resolution (PPI) needs to be made. The average reader’s eye wouldn’t notice improvements beyond 300 PPI, which is PLENTY GOOD ENOUGH. However, the Kindle Paperwhite would benefit from a higher capacity battery, a faster CPU, more RAM, and a memory expansion slot for an SD card. The SD card slot is mostly an alternative route for transferring books between Kindle and computer, in case you lose your data cable. It would allow the owner to carry 600 years’ worth of reading around with him, but that wouldn’t be the point. A condensed form of the Bookerly typeface would be nice. I presently use Caecilia Condensed. No color screen for me. That’s what Fire is for. I just want black text on a white, evenly backlit, background. The only way I would buy a new Kindle is if it was waterproofed and/or developed NICE colored e inc for images. The current Kindle is way too sensitive to water; I have to have mine, which is pretty new, fixed because my screen won’t respond to touch after a few drops got on it, despite being wiped off immediately and seemed to be fine. It would also be really nice to be able to see the colored images for textbooks, pictures in the Kindle versions of children’s books, comics, graphic novels, ect. Otherwise I am perfectly happy with my Paperwhite 3 and would not waste money on replacing it. I also wouldn’t waste money on a Fire when I can buy a better tablet and just download the Kindle app. If you are running out of power in one day, then your Oasis may not be connected to the battery case. Without the case, the ereader has a small battery. 3. A 7 to 7.5″ screen is absolutely ideal as most phones are now 5-6″ if not more and a book needs to feel larger than the phone. 4. More ergonomics so that it doesn’t easily slip off….there is absolutely NO need to make it lighter and in fact I love the feel of the PaperWhite and am happy to keep it on the heavier side so that it feels like I’m holding a book! bought millions of 4GB cards that are just lying in their warehouses and they need to use them up). 6. Also if the charger cable can change to the new standard USB ‘C TYPE” that would be great as are my other devices. 8. A massive upgrade in the “additional software features” like “fonts/type/margins/layouts, etc…” is an absolute must for Amazon to stay ahead and not act like the sleepy arrogant giant. I’ve had alot of different ereaders. Thinking about size, the 5 inch is way too small and cramped, the 6 inch is acceptable but 7 inch is deal for balancing line width and font size, and the 8 inch it’s just a bit too big. Now the 6 inch fits in my pocket, and it’s probably the biggest size that does. So in that sense the classic 6 inch is ideal. But I really prefer 7 inch. It would be nice for Amazon to offer that choice. I’ve really grown to like the autolight sensor on the Voyage and the flush screen. The glossy bezel though… no. It should be matte like Paperwhite to not have glare and not show smudges. The white PW has a boundary that under strong light is so bright that the screen will always look grey (even maxing out the light). The black PW doesn’t suffer this problem but it is easier to see how the light changes the ink from black to grey. I really think that they need to bring back graphite as a color option. This new model meets 3 out of 4 of my dream Kindle requirements. Not bad. The only thing it lacks from that list is a matte finish (to lower reflections) and graphite color. November 2017 is the ten-year anniversary of the Kindle’s first release. Maybe something will happen at that time? – experimental browser to full fledged browser with only text and image support. I do not see what you are seeing.